On Saturday, I visited places that significant to my childhood, as part of my Final Major Project for college. 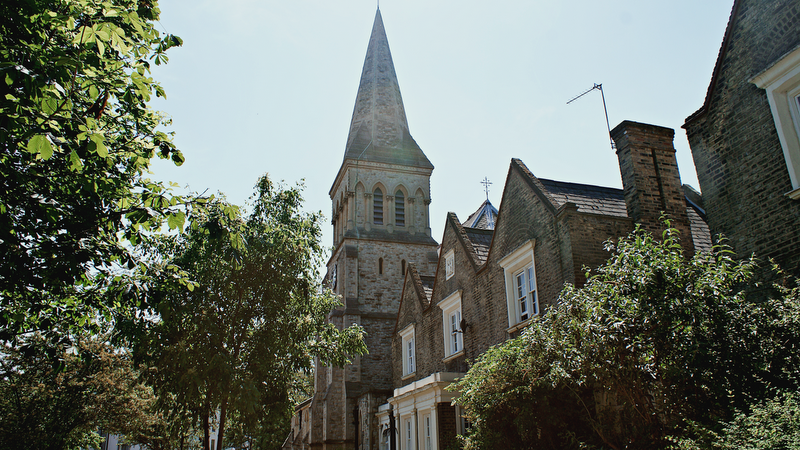 This church was infront of a flat that I lived in from around the ages of 8-11 in Islington, North London. The flat itself is situated on a dead-end road so it was blissfully quiet 24 hours a day! The church bells chimed every Sunday and we often saw wedding celebrations from our balcony. It was lovely. This is a digital file but my final pictures are all shot in film; some 35mm and some are polaroids. I will be scanning them in pretty soon and blogging about them all, so you can visit all the places like I did! I just wanted to get a little sneak preview up. Your layout is so cool! Literally everytime I go on your blog, your layout changes! I wish I was as creative as you! The church looks so classic and calm.